How Safe Is Scuba diving ? Scuba diving is now over 50 years old and is very safe. There are millions of certified divers worldwide. 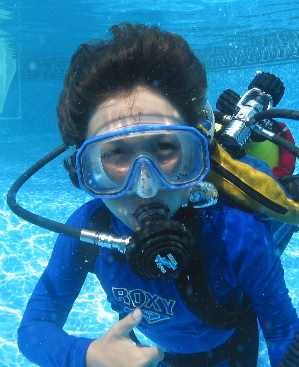 The most common problem assocated with scuba diving is discomfort in the ears and sinus region. It is important that you or your child be Asthma free for diving and you should not attend pool sessions when you are congested from a cold or allergy. *Shark attacks in the pool are very uncommon and the current death rate in scuba diving is the same as bowling (no kidding). Water Safety is Our #1 priority! 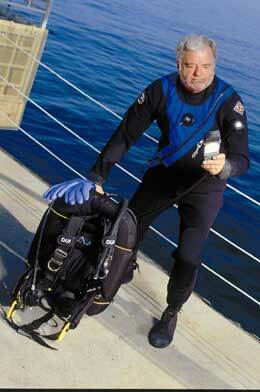 Our programs are taught by Donald Ferris, a PADI Master instructor with over 20 years of teaching experience. Don is a Medic First Aid, Instructor Trainer as well as former Lifeguard Trainer and Water Safty Instructor. We are not only watching you and your kids like a hawk, we are teaching you about water safety as part of being a Scuba diver. Safety is the core essence of the program. All of our programs are taught in very small groups or most often, one-on-one. This ensures you are getting the attention you need and deserve.